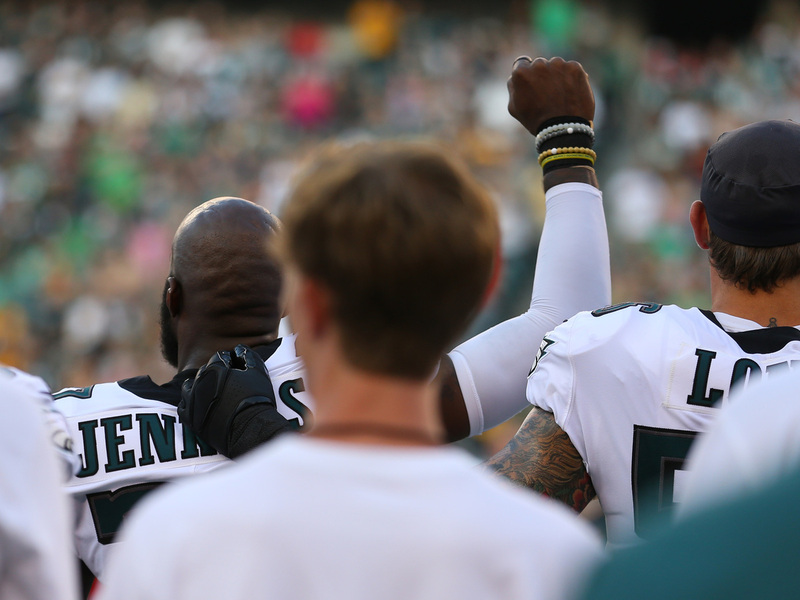 NFL Players Renew Anthem Protests As Preseason Starts Several players knelt, raised fists or refused to take the field protesting police brutality. Last month the NFL said it would temporarily suspend enforcement of a new "must-stand" policy. In October, Vice President Pence, a former governor of Indiana, attended an Indianapolis Colts game with second lady Karen Pence. The Pences promptly left the game when players knelt during the anthem.